I know this has been posted all over the interwebs, but I figured it would make this a nice send off for the end of the week. 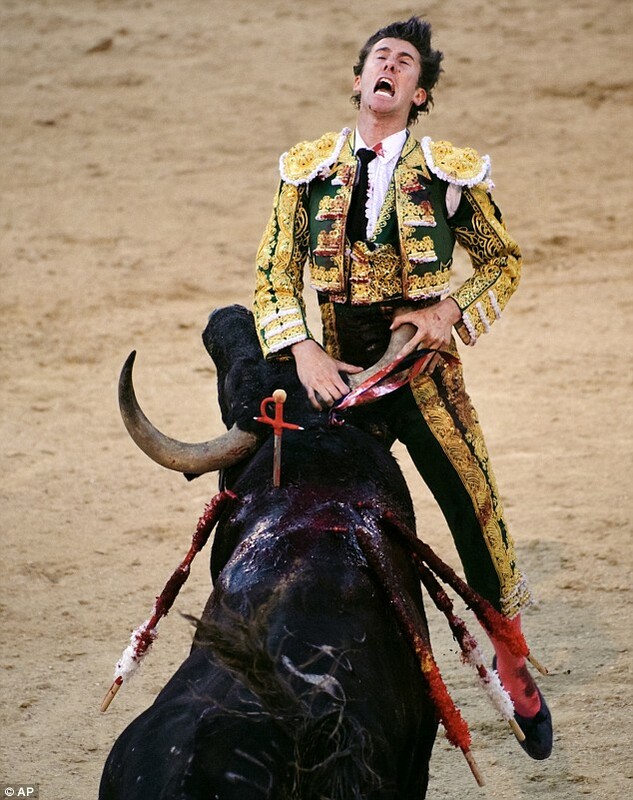 Not only does this bull have like 20 spears sticking out of him, but the guy just stabbed him with a sword, hilt deep, into the bull’s shoulders. And yet the bull wins anyway. That’s called perseverance and determination my friends. The bull just wanted it more. Here’s a nice little picture, too. You are currently browsing the archives for the pissed off bull category.